Since 2006, Black Tiger Fuels has been supplying clients with Imperial Esso fuel and lubricants in Northern Alberta. 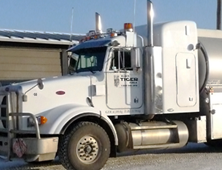 Black Tiger Fuels has a wide variety of equipment for delivering bulk fuel in a safe manner. With 5 sites across Northern Alberta, you can enjoy the benefits of innovative and quality fuel products and services being delivered in a safe and timely fashion. Black Tiger Fuels offers Cardlock locations to allow for a reliable way to get your fuel. We offer 24hr card access across Canada for regular gasoline, premium gasoline, clear diesel, marked diesel. 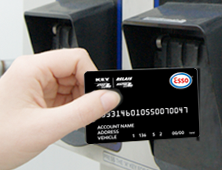 We are an Esso Key to the highway network. Black Tiger Fuels stock a good selection of automotive and industrial oils, along with grease solvents and kerosene. Since 2006, Black Tiger Fuels has been supplying clients with Esso fuel and lubricants in regions of Northern Alberta. Black Tiger Fuels has grown into a successful and reliable provider of Esso fuel and Mobil lubricants. We have a wide range of clients including agricultural, oil and gas exploration, rail, forestry, and residential. 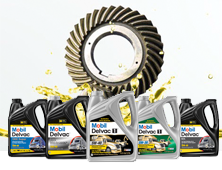 We offer a full line of Mobil lubricants, bulk fuel delivery and a cardlocknetwork with locations throughout Canada.